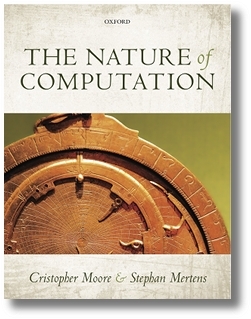 Computational complexity is one of the most beautiful fields of modern mathematics, and it is increasingly relevant to other sciences ranging from physics to biology. This book gives a lucid and playful explanation of the field, starting with P and NP-completeness. The authors explain why the P vs. NP problem is so fundamental, and why it is so hard to resolve. They then lead the reader through the complexity of mazes and games; optimization in theory and practice; randomized algorithms, interactive proofs, and pseudorandomness; Markov chains and phase transitions; and the outer reaches of quantum computing. At every turn, they use a minimum of formalism, providing explanations that are both deep and accessible. The book is intended for graduates and undergraduates, scientists from other areas who have long wanted to understand this subject, and experts who want to fall in love with this field all over again.